Looking for a cool and different balsa build? Here it is! The 52" Marston Pterodactyl. You'll likely have the only one at the field. Like everything else I buy I bought this on a whim but had every intention of building it someday but now it's in the "MAKE SOME ROOM" pile. I've gotta start letting go of some kits and this is the first on the block. This is NOT a bARF! You have to build it. The picture of the finished bird was shamelessly lifted from the Marston website. 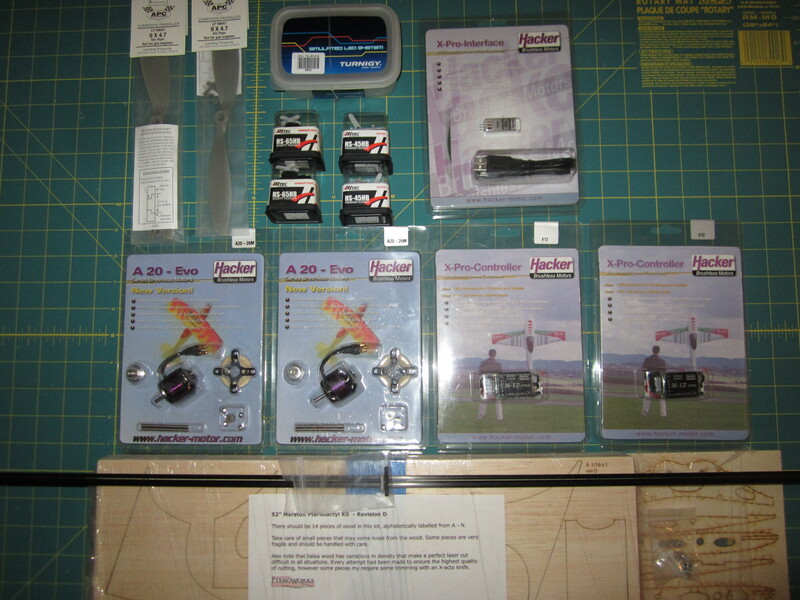 You'll get the laser cut kit and accessories seen in the picture below it. 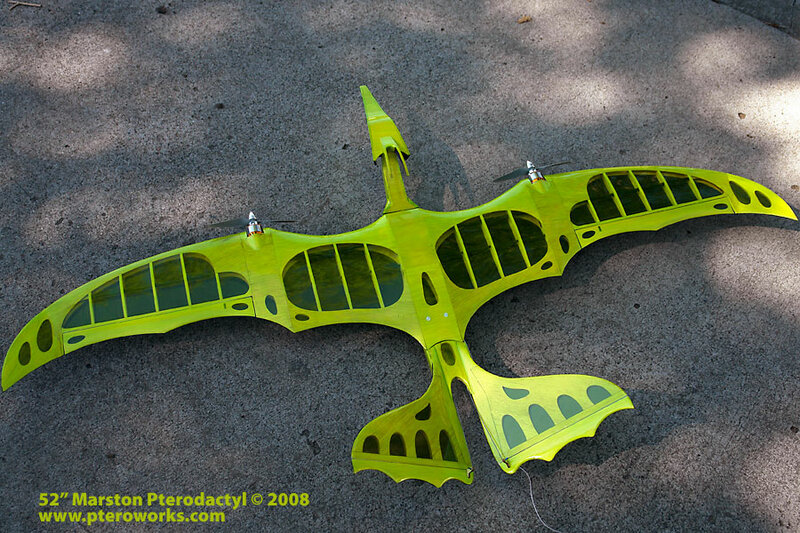 52" Pterodactyl kit. LINK The wood is still wrapped as shipped from Marston. Includes all carbon fiber spars. Price it all out and it's over $400.00. Grab it for $250.00 + shipping before I come to my senses and keep it. To help you determine what it will cost to ship it the box is 48"x6"x6" and weighs 5 pounds. I'm in Arizona zip 85206. If you insist on double boxing figure the extra cost of 7 pounds shipping weight. I'd have to piece an outer box together. Decide how much insurance you want and add that to the total. I'll verify before shipping. I do accept PayPal and I'll eat the fees. Marston has been around for a while. As is typical for the hobby lately if it was a bARF it would be a huge seller and more well known. Because you have to build it the instant gratification cell phone/tablet/Xbox/PlayStation kids are scared off and Marston gets little exposure. My only reason for not building it is room. I'm 100% out of it! That looks even more cool then Professor Falken's model in the movie War Games.